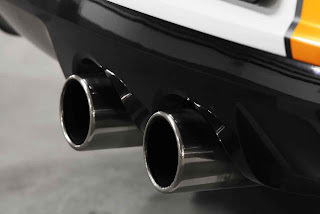 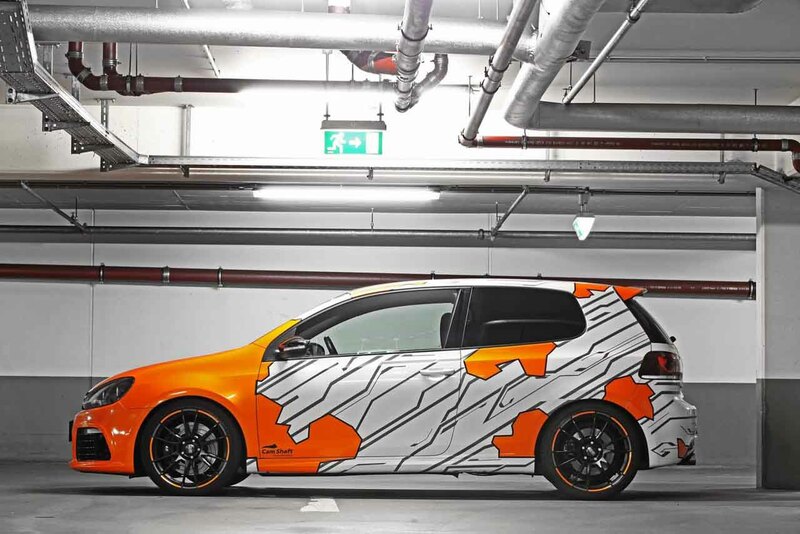 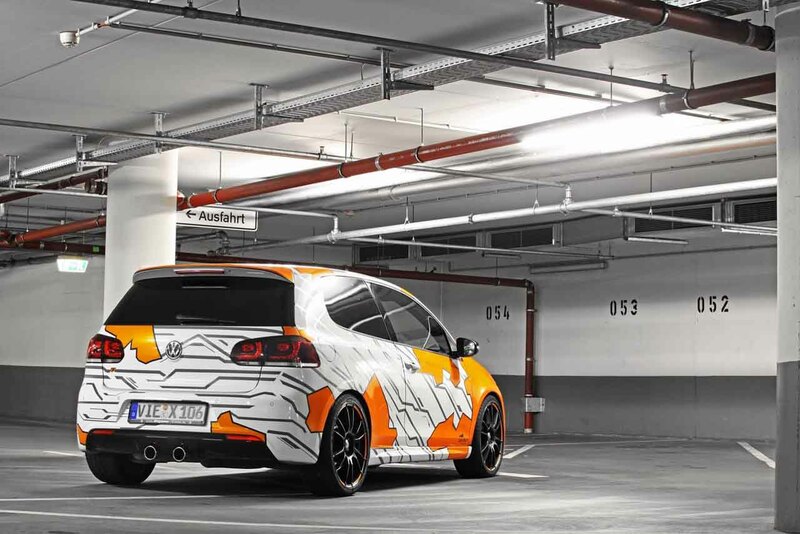 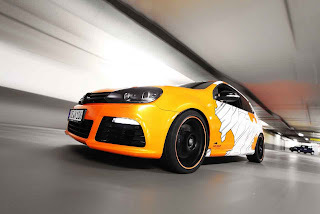 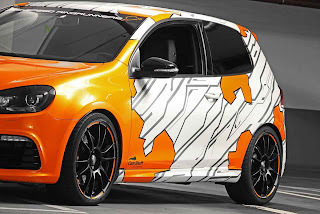 The German tuner Cam Shaft has modified the Golf R, calling Electrified. 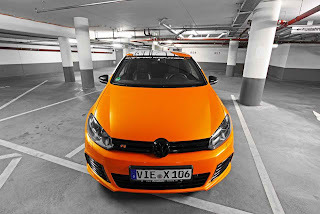 The Golf R is equipped with a 2.0-liter TFSI with 270 hp and 350 Nm of torque. 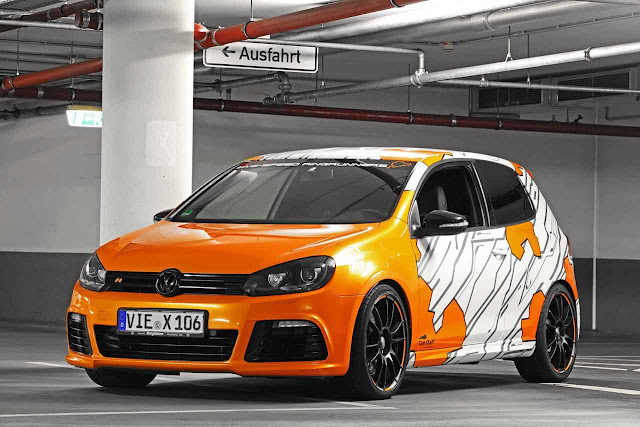 Cam Shaft, changing the electronics and the management of the turbo, allows the 2.0 TFSI delivering 325 hp and 430 Nm of torque. 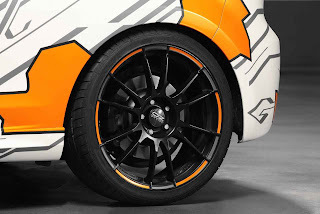 The changes also affect the suspension, Tarox brakes and black OZ rims. 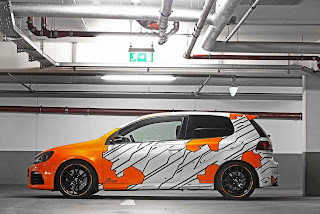 The car is painted in a livery called Electric Orange. 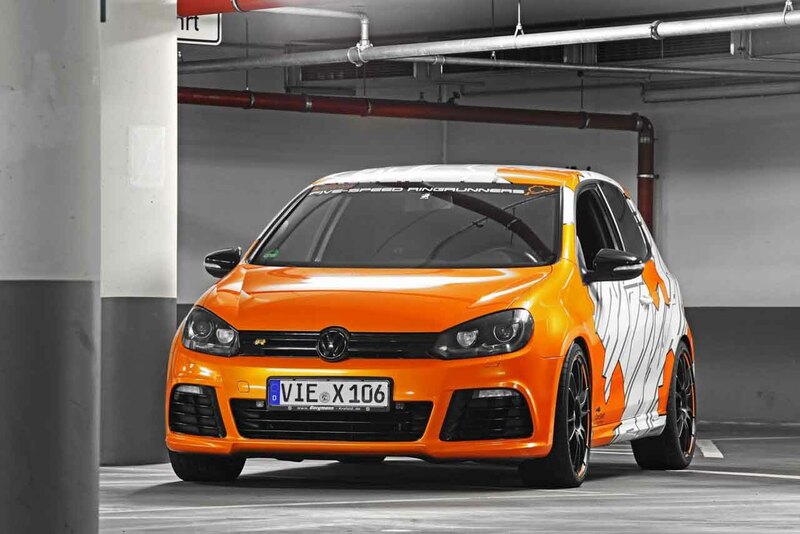 Il tuner tedesco Cam Shaft ha modificato la Golf R, chiamandola Electrified. La Golf R monta un 2.0 litri TFSI con 270 CV e 350 Nm di coppia. 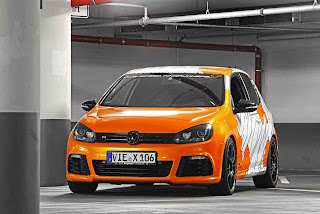 Cam Shaft, modificando l'elettronica e la gestione del turbo, permette al 2.0 TFSI di erogare 325 CV e 430 Nm di coppia. Le modifiche riguardano anche le sospensioni, i freni Tarox e i cerchi neri OZ. La vettura è colorata in una livrea denominata Electric Orange.